200 years ago, InuYasha's father sealed away a powerful demon from China named Hyoga... A Shikon Jewel shard awakens Hyoga's son, Menomaru, inspiring him to absorb the remains of his father's power to take control of the world! 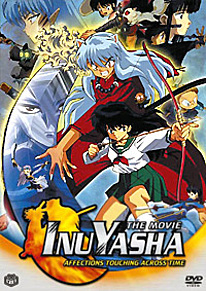 It's now up to InuYasha and his friends to stop this nearly invincible foe! DVD Features: Dolby 5.1 digital audio, Anamorphic widescreen, Line-art gallery, Japanese InuYasha Movie promos, Special InuYasha footage.